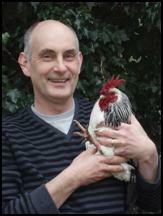 David is pictured here with one of his pet chickens - Craster. Newcastle born & bred David lives with his family in Horncastle and has been in practice in the area for over 20 years. He enjoys singing, acting and reading trashy novels. Life at home is never dull with: 2 dogs, 3 cats, 2 guinea pigs, 5 chickens, 2 budgies, 5 gerbils and 2 doves. Susan is responsible for the day-to-day running of the practice behind the scenes but she enjoys both nursing and laboratory work most of all. Susan loves music, good food & wine, anything arty-crafty and spending time with her family & many animals. 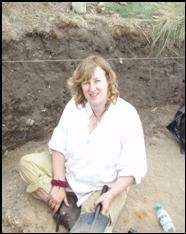 After helping with a local archaeological dig recently she secretly wishes to join Time Team! Susan is secretary to Horncastle Skatepark Committee Support Group although it’s been a few years since she’s ‘done her stuff’ on her blades! 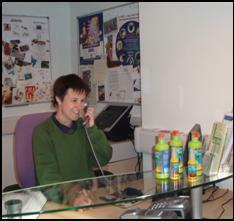 David is the phone-in vet for BBC Radio Lincolnshire and enjoys the varied and interesting questions asked by listeners. Linda has had eight years experience in a busy large vet group in Hampshire where she had to turn her hand to almost everything. 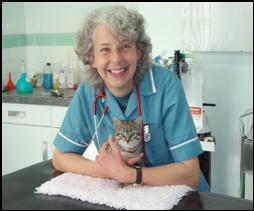 Catherine looks after reception part-time but is also a qualified Veterinary Nurse. She is married to John and they have one dog called Cassius. Both Catherine and John are big Status Quo fans. When she’s not ‘rocking all over the world’ archaeology and wartime memorabilia are among Catherine’s hobbies and she enjoys many genres of music and dance. She enjoys caring for and looking after her patients. She keeps us supplied with her yummy chocolate crispy cakes! and Andy and Jake all the very best for the future.